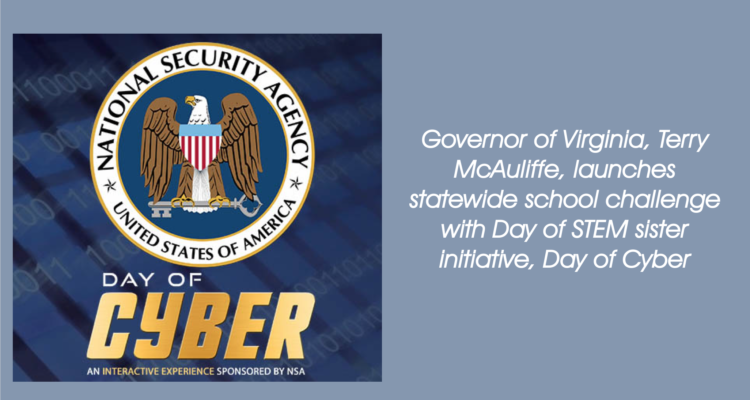 Governor Terry McAuliffe announced the launch of Virginia’s “NSA Day of Cyber” School Challenge. The challenge begins today and will run through the end of March 2017. Participating students will take part in rigorous, real-life virtual cyber scenarios, discover the skills and tools used by NSA cyber professionals, and explore the vast number of careers in cybersecurity. Students will each receive an individualised Cyber Resume and NSA Certificate of Completion.